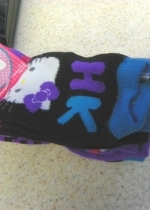 NOVEMBER 30--Turns out stampeding bargain hunters aren’t the only danger at one Walmart in Georgia. 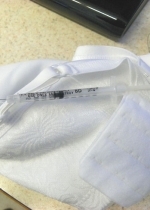 Police are investigating how hypodermic needles ended up hidden inside clothing being sold at a store in Cartersville, according to Bartow County Sheriff's Office reports. 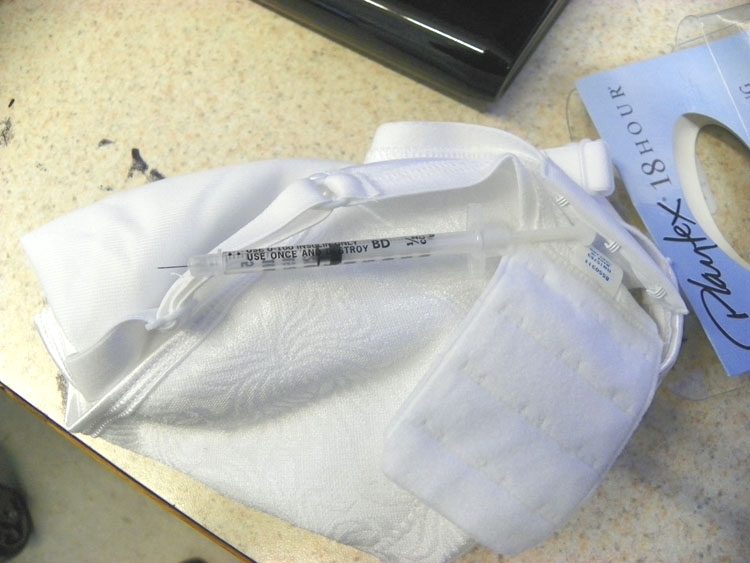 The syringes have been discovered on several occasions during the past week. Shopper Patricia Headrick told deputies that she was stuck last Friday while examining a package of Playtex bras inside the store. Headrick reported that she went to a local hospital and was tested for HIV and hepatitis. 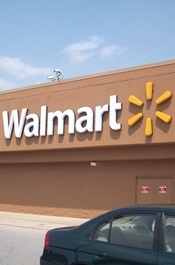 Additionally, a Walmart employee yesterday told deputies that a customer reported finding a broken syringe in the pocket of a pair of pants in the women’s department (the woman was not stuck by the needle). A sheriff’s spokesman, Sgt. 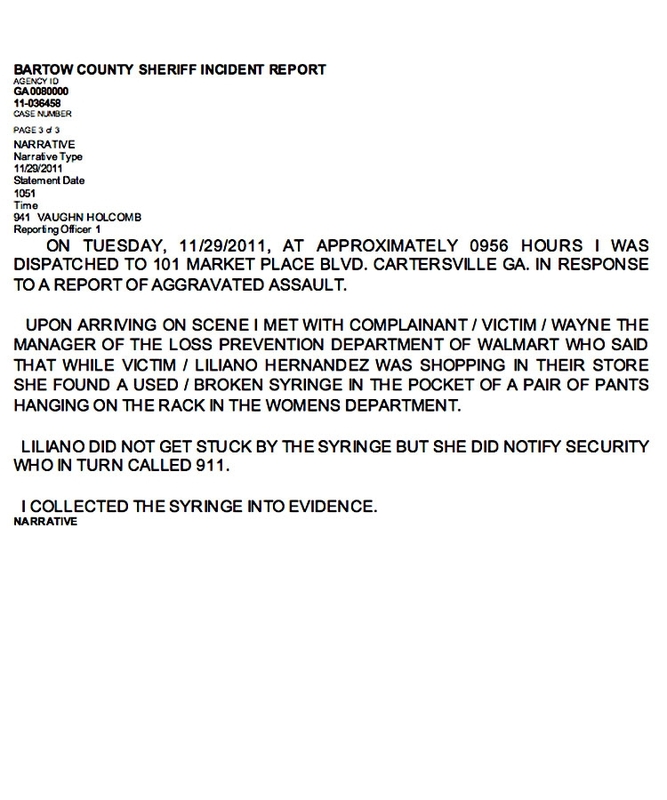 Jonathan Rogers, reported that Walmart officials have discovered syringes hidden in other clothing items. 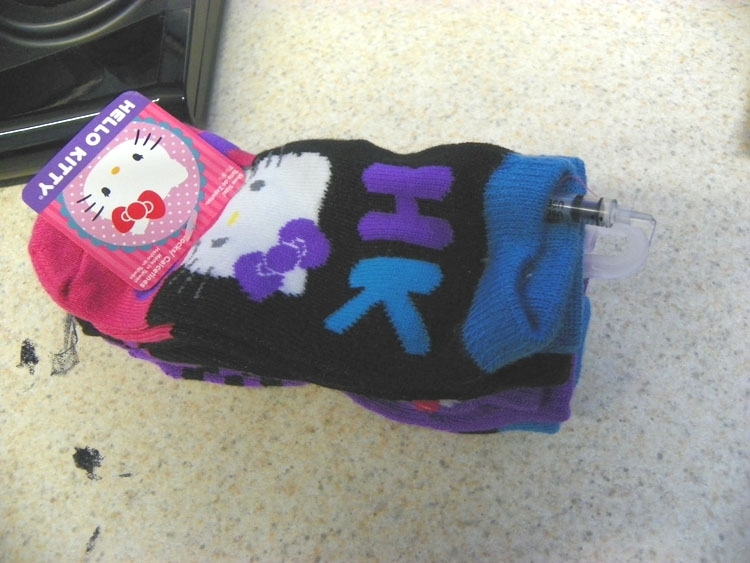 Police today released evidence photos showing the syringe found in the bra packaging as well as a bent needle (seen above) that was discovered tucked into a pair of Hello Kitty socks.